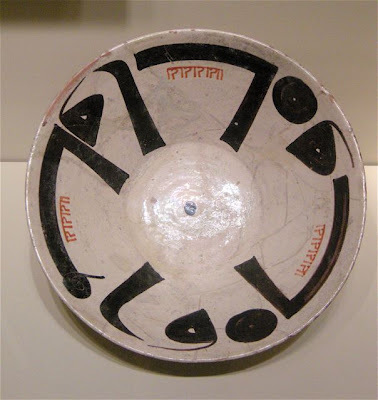 A stunning Persian bowl with (I think) Kufic characters from the Seattle Art Museum. This was one of the objects that really grabbed my attention and made me feel like doing some more ceramics. Also, seeing Charles Krafft's studio got me worked up to make some more objects based on my paintings, especially since I've recently been worknig on some more monochromatic retablos.